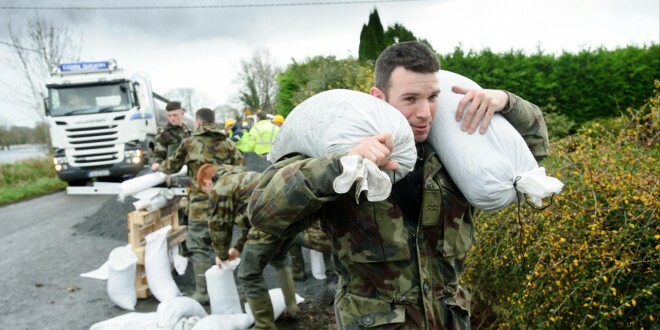 Army personnel had to help with the delivery of sand bags in the Springfield, Clonlara during the recent flooding. Photograph by John Kelly. Residents who have been left traumatised by flooding on the outskirts of Clonlara have vowed to embark on a campaign in the New Year to secure long term solutions. Springfield resident, Geraldine Quinlivan stressed that householders deserved proper flood protection to avoid a repeat of the scenario where her husband, brothers and nephews were forced to “sleep on sandbags underneath an umbrella” in an effort to protect homes. Three possible solutions to prevent future flooding in Springfield have been identified in the draft CFRAM study, which is being conducted by the OPW, according to Ms Quinlivan. They include the completion of dredging and cleaning the old River Shannon at an area known locally as The Cut as well as changing the current course of where the Mulcair River cuts across the River Shannon to ensure it flows in the one direction. Another solution involves the completion of a new landbank about one mile behind houses in Sringfield with a sluice gate and water pumps that would form an ideal flood protection barrier in the event of future flooding. 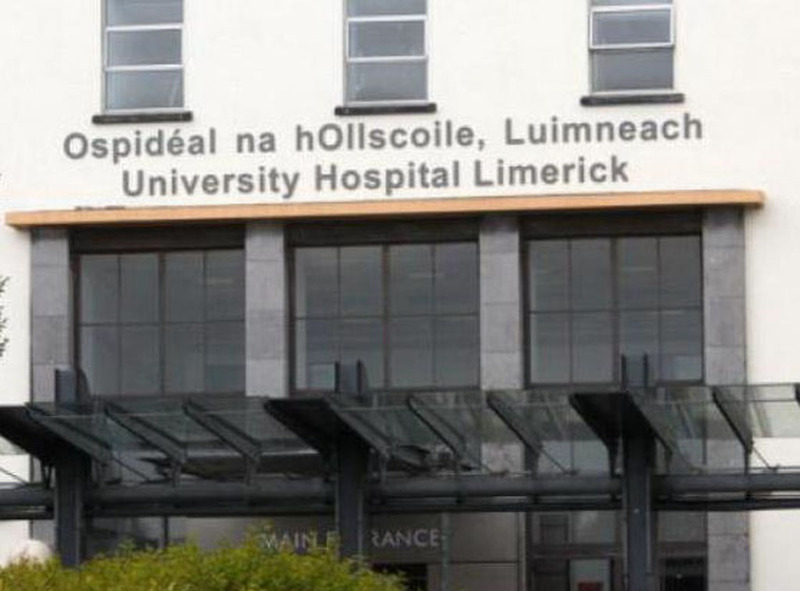 The third option proposes the construction of a major new landbank from close to the University of Limerick up to Landscape House in Clonlara. While these options have passed flood modelling tests, Ms Quinlivan confirmed they still had to be put through the rigours of environmental considerations and a cost benefit analysis. 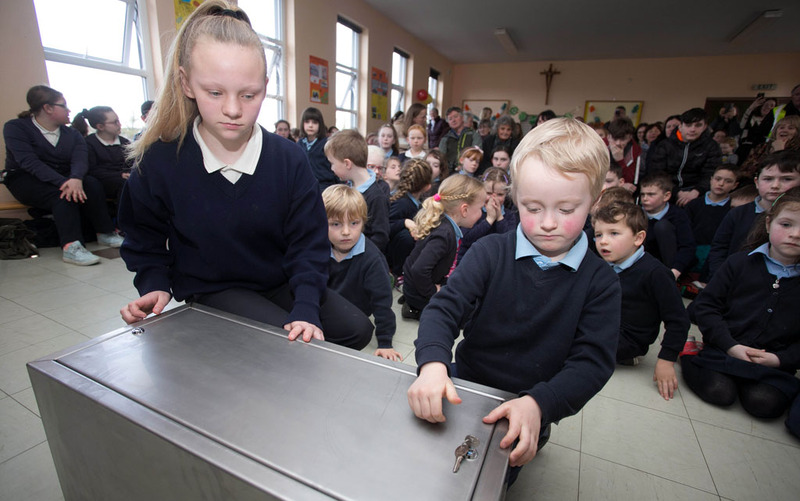 Speaking to the Clare Champion, Ms Quinlivan said residents would be lobbying public representatives over the coming weeks to get their support for the delivery of one of the first two options. She stressed the construction of a new landbank behind their houses would be a cost effective proposal, which could be completed very quickly. Regardless of what solution is implemented by the Government, she also stressed that residents also deserve individual flood protection for their own homes such a new flood defence wall, which worked very well to protect Paddy Ryan’s house from flooding in the last two weeks. Despite the best efforts of family members who have been working around the clock delivering sandbags and manning pumps, she said she was still very upset about the flooding of houses owned by her brother, John Mason and her mother, Nora Mason. She confirmed residents would still be “living on the edge” during Christmas due to the forecast of a high tide in Limerick City on Christmas Eve. While normally a high spring tide wouldn’t present problems for Springfield, Ms Quinlivan explained that a high tide could easily worsen the situation due to the existing high water levels. Praising the efforts of all the emergency services such as Clare Civil Defence, Clare County Council and the Irish Army to protect residents’ homes, she stressed that the current flooding couldn’t be allowed to happen again. “We have serious health and safety concerns for our families because of the sheer depth of the water in Springfield. When you add the four or five feet of water in dykes to the water on the road, there is up to ten feet of water in some places. “If the water comes in over the sandbags, people wouldn’t have time to get out of their properties. While there has been a great community spirit shown by local people during the flooding, we have been left traumatised physically and mentally. “This just can’t happen again, we have had enough. We need long term solutions to be put in place as quickly as possible,” she said. Having secured the suspension of standing orders at a recent Clare County Council meeting, Councillor Michael Begley proposed a motion calling on Clare’s Oireachtas members to secure funding for a specific plan to deal with flooding in Springfield. With up to 19 houses at risk of being adversely affected by flooding in the Springfield, Councillor Begley stressed that a specific plan had to be implemented for the area and should be subsumed or part of any national strategy. His proposal received the backing of other councillors in the chamber.